If you homeschool, you know it is very serious business. There is little funny about the groaning mass of agonized flesh rolling around recovering from the torture cause by just briefly touching a math book. One equation alone can produce intense fear, pitiful beggings, and tears of desperation...and sometimes this describes parent rather than child! At some point you realize, as you homeschool, that you are not in control. You never were really. It was an illusion you dreamed up in your mind. You prepared with anticipation and then you buckled into the roller coaster ride of your life. Yes, that is you screaming as you plunge down towards math and you giggling as you rise when reading her latest story and you feeling a bit queasy with that sudden turn in another direction with your curriculum and just when you think you are into the groove, you get turned upside down watching helplessly as things you thought were so necessary to take along just fall away. 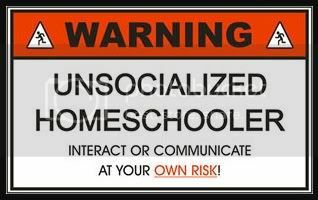 Such is the homeschooling life! If you have not yet visited Cristina at Home Spun Juggling to read the many homeschooling cartoons she has done, you are missing a real treat. I can always find something worth a chuckle or two there. Please leave a courtesy comment to let her know you stopped in. Sometimes you just cannot find a laughable moment, you just have the BLUES...homeschool blues. Now here is something to help out those who cannot readily recognize that "oh, so obvious" difference between homeschool children and...the other socialized children. Languages are very important also. As homeschooling parents, we are responsible in teaching our children how to communicate well with other people, so keep this in mind. I was concern about it being so silent down under right after Liddy left too. We have much to talk about and I may be able to carve out some Skype time now that the fall consignment sales are finished. Hahaha! I love that last strip! Where is it from? I don't recognize the character.